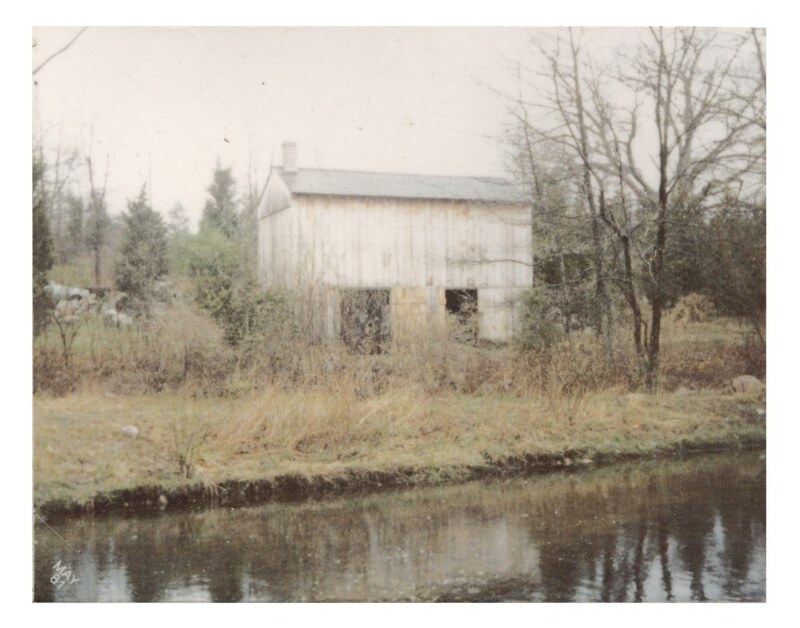 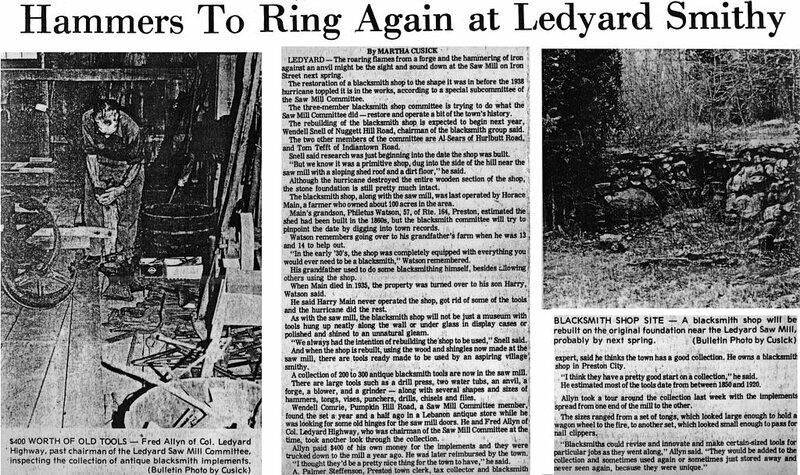 The original blacksmith shop was destroyed by the hurricane of 1938. 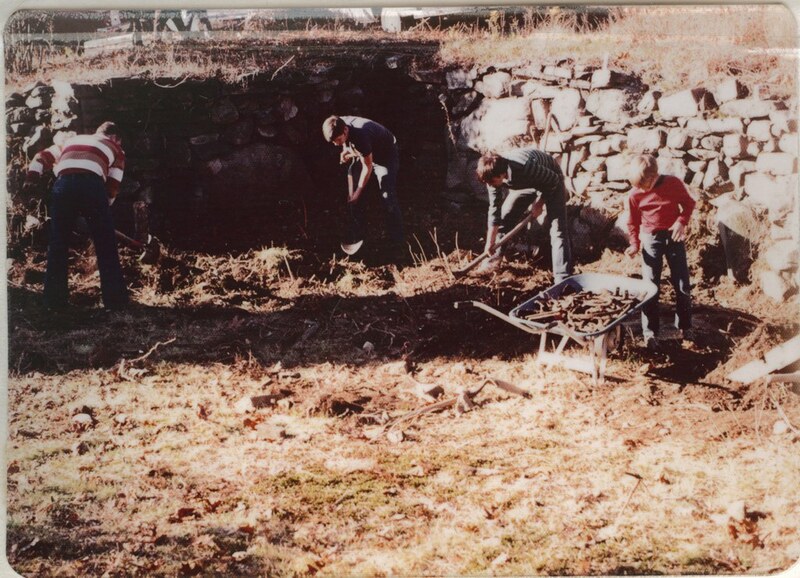 The following photos show that the blacksmith shop required complete rebuilding from the foundation up. 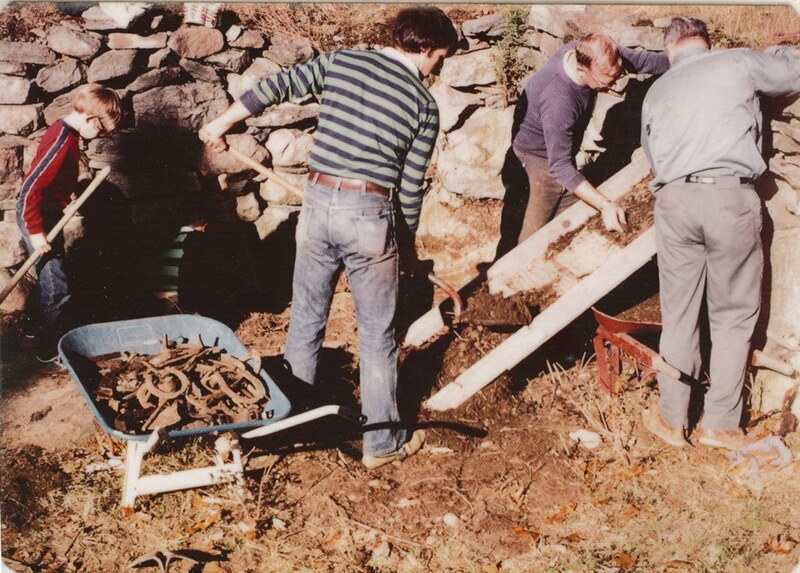 olunteers in 1976 sift through the rubble looking for artifacts. 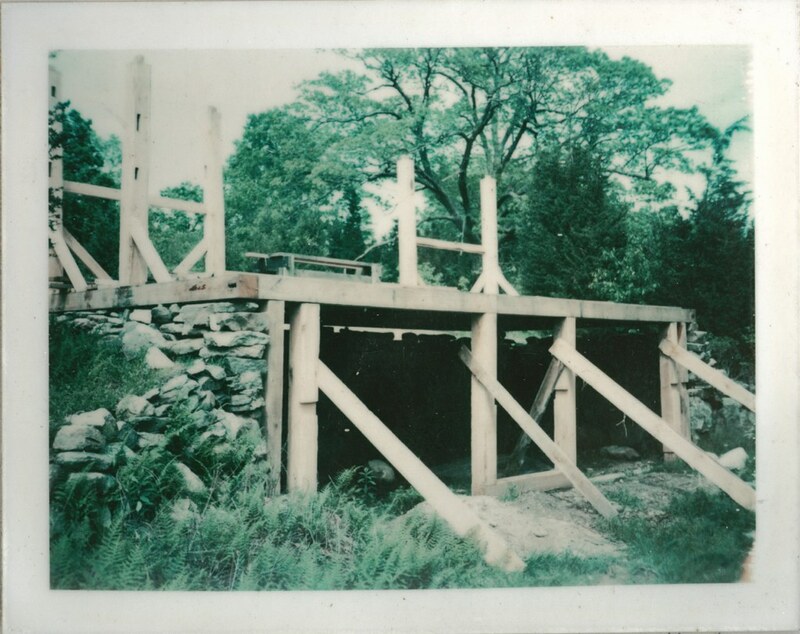 Timber frames go up on old foundation. 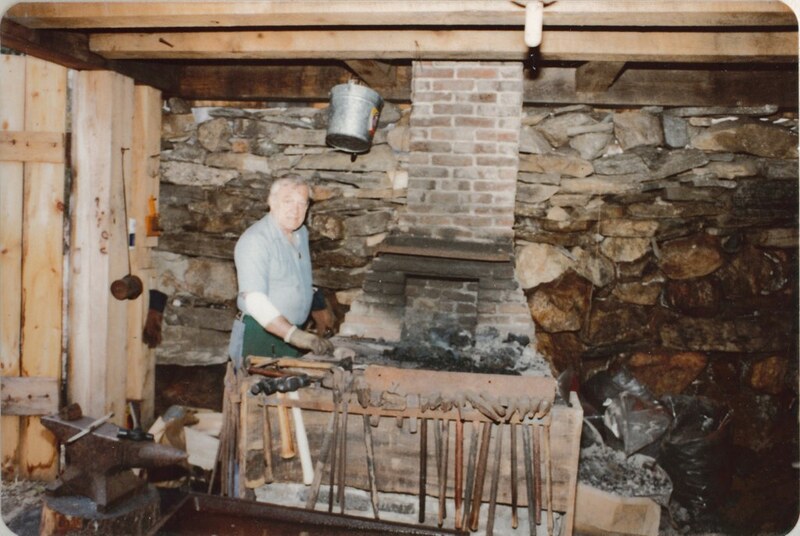 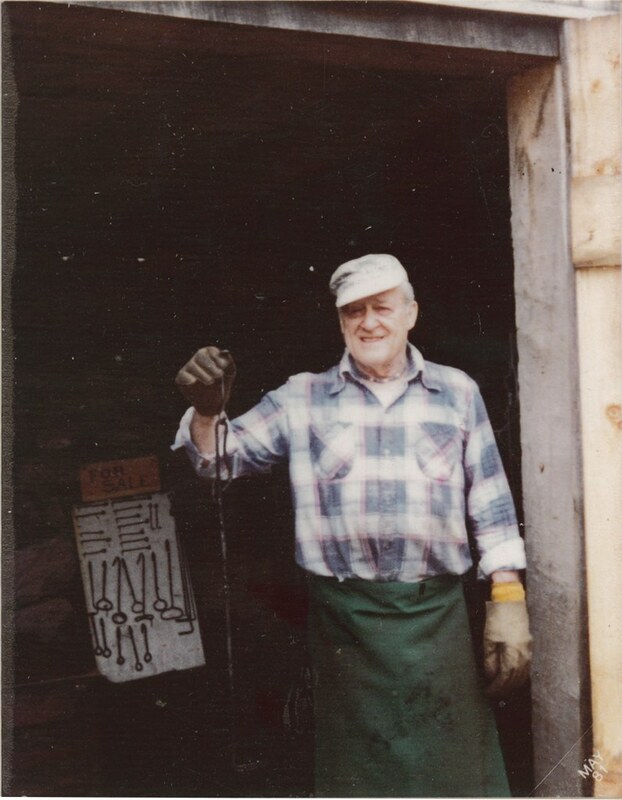 George Littlefield was one of the first blacksmiths to work in the restored blacksmith shop. 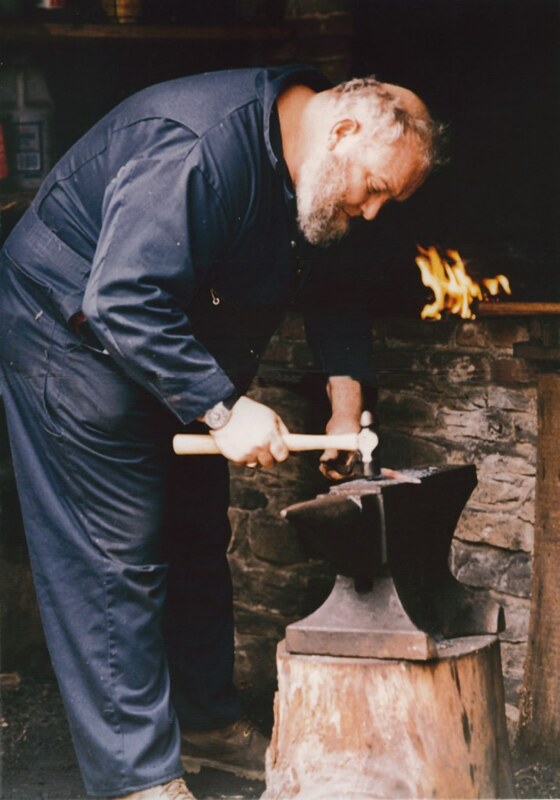 Anyone having information about the blacksmith shop, should contact info@ledyardsawmill.org so this page can be expanded.